My ideas is to read the actual Hotend temperature with websocket with a bash script running in cron every x time using "curl" command. This script manage the fan power (dedicated GPIO) according the temperature. Can help me with Websocket usage? In the websocket chapter you will see all the small commands you normally use while you are displaying server status. Soem of them might also be useful for simple apps just wanting to show some informations. For these we offer a access over the REST api. The only thing that does not work are events as they are reported to open sockets only. The above schema can be used to send any websocket command as REST call. Use GET or POST just as you like. For bigger data POSt should be preferred. You can replace apikey with sess, but you would normally do this only if you have no session open, so apikey is the normal way to use it. Parameter: includeHistory (bool) include complete temperature history. Polls the detailed printer state with or without a complete temperature history. with includeHistory false to get you json response. to get the api key. Don't rely on info to get apikey. It is only there if server is configured to be accessible without protection, otherwise it is hidden. Parts in <> are placeholders and you need to replace them with the content. replace irapid with your printer. Based on your indication, i've done my things and all work very well. I want to share with you my project so if you do a thought you can implement directly in new version. 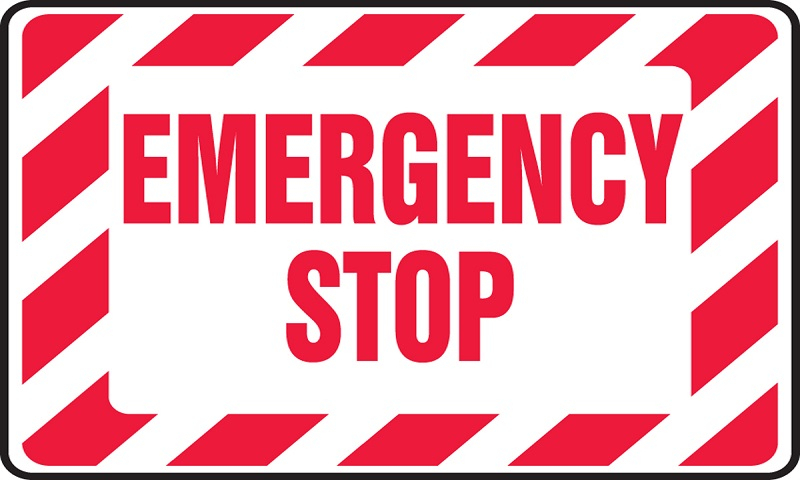 Have create a script called E_STOP.sh and background.sh and an image file estop.jpg. sudo wget -O /tmp/estop.log "http://localhost:3344/printer/api/"$NAME"?a=emergencyStop&apikey="$KEY""
sudo wget -O /tmp/estop.log "http://localhost:3344/printer/api/"$NAME"?a=deactivate&apikey="$KEY"&data=%7B%22printer%22%3A%22"$SLUG"%22%7D"
sudo wget -O /tmp/estop.log "http://localhost:3344/printer/api/"$NAME"?a=activate&apikey="$KEY"&data=%7B%22printer%22%3A%22"$SLUG"%22%7D"
sudo wget -O /tmp/temp.log "http://localhost:3344/printer/api/"$NAME"?a=stateList&apikey="$KEY"&data=%7BincludeHistory%3Afalse%7D"
Now the fan to cool the hothend is directly controlled by GPIO4 according the temperature. If i press emergency button, script send a reset, and deactivate printer , activate hothend fan and blink every 2 seconds the image on display. If i restore the emergency button the image stop blink and the printer is reactivated. That is very special, so i would not integrate it as default. The server has a module system, so you could write more or less the same as a server module. That way you need to query of the server and can get data directly in the server as the script has access to important parts. We also have a emergency function in server. How can i get temp of extruder and bed for only one Printer? When i use stateList, i will show all my printer. You can't. Set includeHistory false to reduce data. The first object is a hash with printers so just take the printer you are interested in.